That's become my theme of late. Ever since my Network Marketing business started to take off, I have found myself in ever new and exciting adventure. Last night certainly was no exception. GQ's Gentlemen's Ball is an annual gala that honors and celebrates men "who's commitment to their communities defines what it means to be gentleman today". 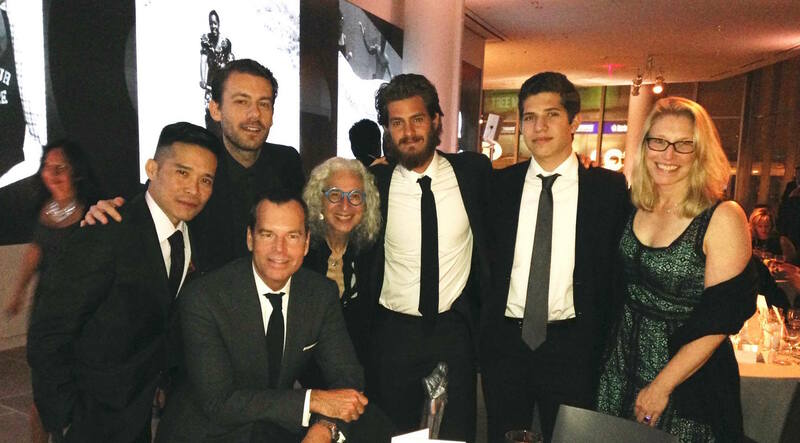 Among the honorees, Andrew Garfield of Spiderman fame was being recognized for his work with two organizations: Worldwide Orphans and Youth Mentoring Connection. So how the heck did I end up at the Gentlemen's Ball seated at the same table as Andrew Garfield? Well, let's back track a bit. This past summer in New York City, Andrew Garfield and Emma Stone were having breakfast one morning when they noticed a group of paparazzi waiting for them outside. So they decided to seize the opportunity and call attention to charitable organizations. One of those organizations was Worldwide Orphans. Now, for a very long time, even perhaps before I got involved in Network Marketing, I knew that working with orphans in one capacity or another was something I wanted to do. But for so long I never really had the means or the resources to do it. Fast forward to summer 2014 and I now had a thriving business and resources at my disposal that I had never had before. So how fortuitous was it that I happened upon Andrew and Emma's brilliant PR maneuverings and that one of the organizations dealt with the well being of orphans?! After seeing the articles about Andrew and Emma, I looked into Worldwide Orphans and knew almost immediately that it was an organization that I wanted to be involved with. So I decided to become a regular contributor. This apparently caught the attention of WWO founder and president Dr Jane Aronson because not long after I started contributing, I received a direct correspondence from her. This caught me completely by surprise. I mean, what reason would the founder of Worldwide Orphans have to contact me directly? Well long story short, we continued to exchange emails and phone calls, and I find myself at the GQ Gentlemen's Ball seated at a table with among others, WWO Founder and President Dr Jane Aronson AND Andrew Garfield. The places you'll go indeed.